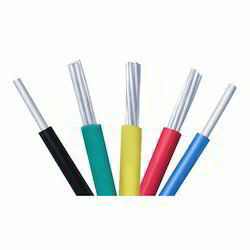 PTFE Wire 22awg-This wire is manufactured using optimum grade silicon with the help of high-tech techniques in compliance with set industry norms. Moreover, it is checked for its quality on series of quality parameters before being supplied to our clients. Clients can avail this wire from us at pocket friendly price. 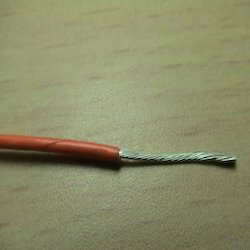 High Temperature PTFE Cable. These are made using superior quality raw materials and are processed under sophisticated technologies. Moreover our products are tested on certain parameters under the supervision of our professional experts to ensure its quality. 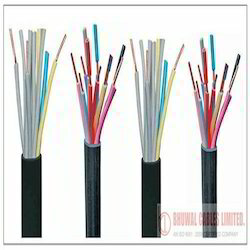 We offer these cables at cost effective ranges. 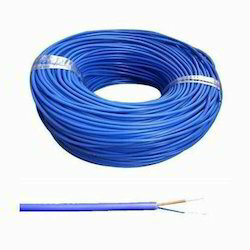 Being one of the trusted firms in the industry, we are highly engaged in providing a high quality range of PTFE Insulated Silver Wire. PTFE Coated Wires-usage in different industrial applications, we ensure these cables are quality certified and deliver optimum durability and reliability in the involved operations. Our clients can avail from us good quality PTFE Insulated Wire. These are made from top quality material and extensively used in various industries. Manufactured to possess superior insulation, these wires are high in demand owing to its functional ability and durability. These are highly conductive and light weight. Our products are par with set market guidelines and reasonably priced.